It launched in October and already Poundland are struggling to keep up with the demand their new budget ‘Make Up Gallery‘ range has created. Who would have thought the popular pound store could create a makeup range that adds a little sophistication to budget chic! Plump Up The Volume mascara uses a lengthening formula enriched with panthenol and keratin amino acids to build volume and condition lashes. It’s available in 3 eye catching colours and is of course only £1! The new range of makeup has a very upmarket look to it and the packaging doesn’t look at all cheap. It’s clear that this isn’t a slapdash attempt to make a bit of money and Poundland have made a real effort to create a impressive range that people will come back to again and again. 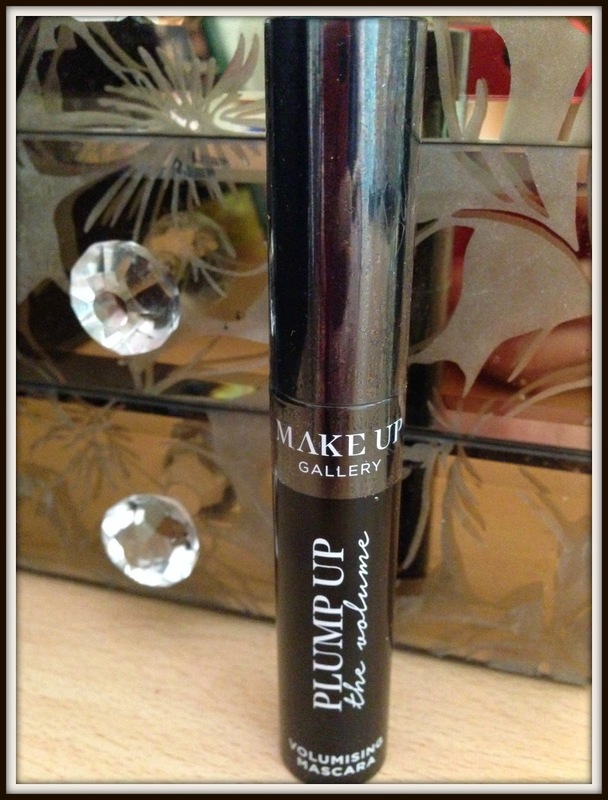 The writing on the mascara is simple but effective and does give the impression that it can ‘plump up the volume‘. 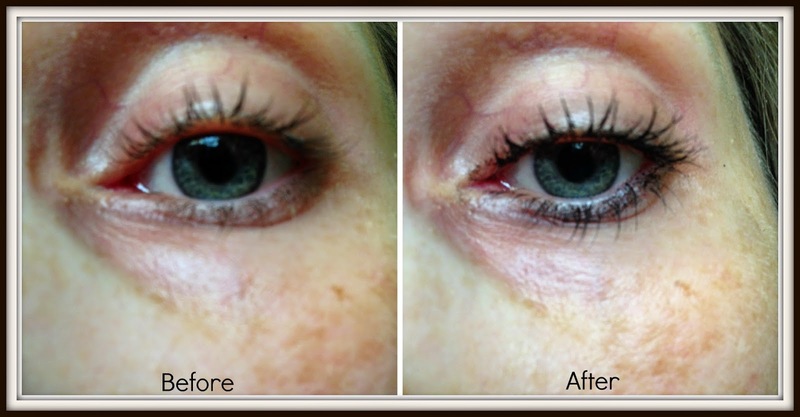 The mascara advises to apply generously and as always I applied around two to three layers. 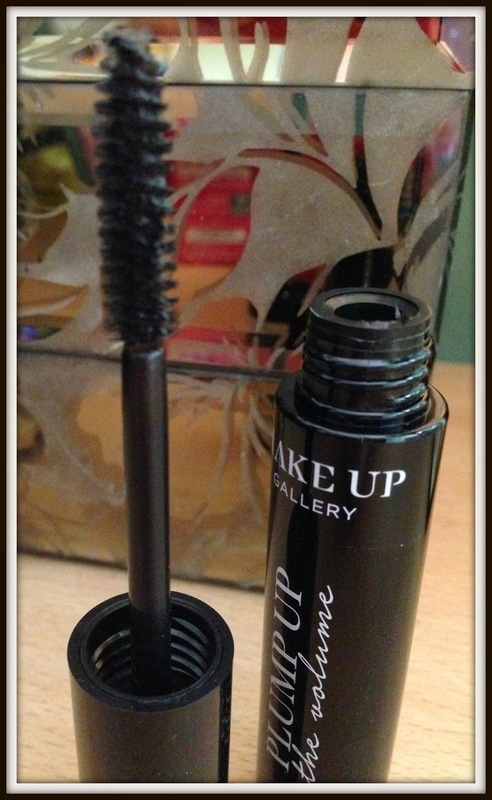 I found the mascara glides on really smoothly instantly defining and lengthening my lashes. The brush is flexible enough to coat even the smallest of lashes and is better at lengthening the top then the bottom lashes. The overall effect isn’t the best I’ve ever seen but it’s nowhere near the worst and is certainly above average. The mascara is kind to lashes and performs well especially for a budget mascara. However I do feel it had more of a lengthening then a volumising effect. You can grab this and other items for £1 at your local Poundland store.